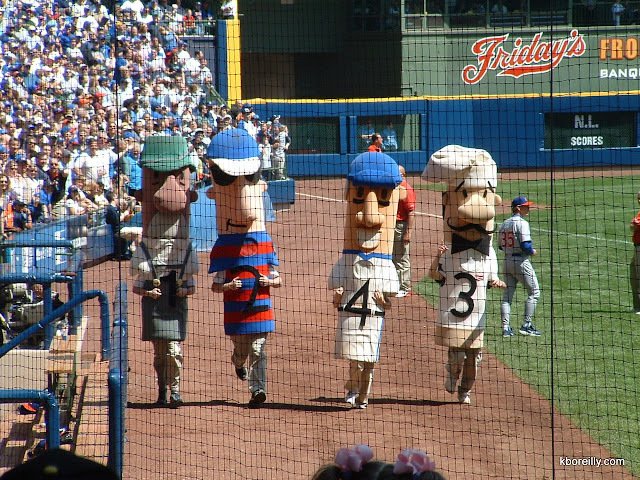 Above is a shot of the world famous sausage race at Miller Park in Milwaukee. I don’t remember which sausage (Italian, Bratwurst, Polish or hot dog) won, but I do know the Cubs lost. I caught the game on my way back from a business trip to Wisconsin Dells. It was a beautiful day, but a very frustrating game. Different park, same result for my Cubbies. Click here or the above photo to see the rest of my pictures. Jesus called us to get into the game, to be in community with other followers so we would grow in faith, support each other, and reach out in ministry and mission to people who don’t know who He is yet. Anything that takes us away from the mission He gave us is … sausage.